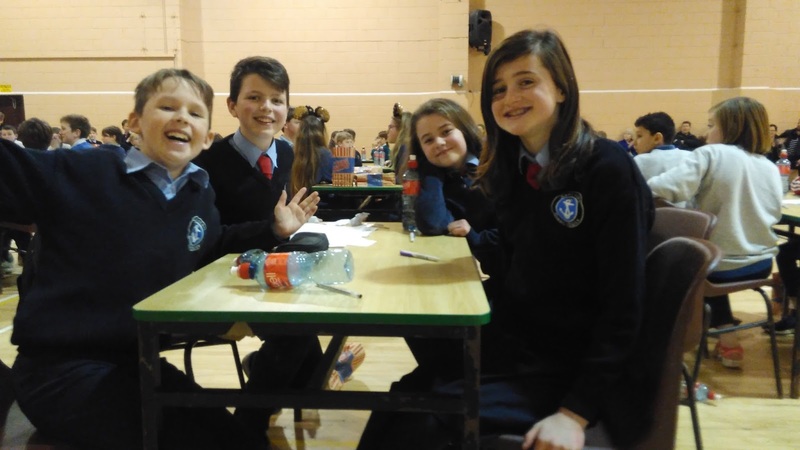 Seo roinnt leabhair a cheannaíomar leis an airgead a bhailíodh san Aonach Leabhair Scholastic i mbliana! Tá a thuilleadh ag teacht. Tá na páistí ar bís go bhfuil leabhair nua acu le léamh! Ár mbuíochas le gach éinne a thug tacaíocht don Aonach Leabhair i mbliana. These are some of the books we have purchased using the money raised through Scholastic Book Fair! There are even more books on the way. 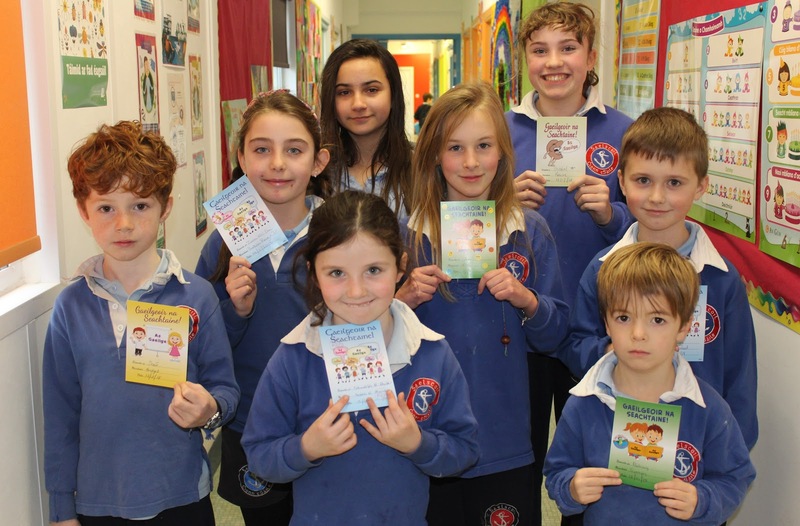 The pupils are very excited to have new books in their libraries. 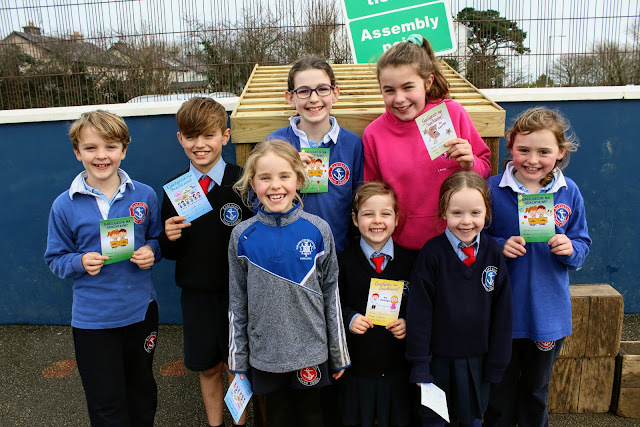 Our thanks to all who supported the Book Fair this year. Ghlac dhá fhoireann ón scoil páirt i dTráth na gCeist an Comhar Creidmheasa ar an Aoine 26/01/18. D'éirigh go h-iontach leo. 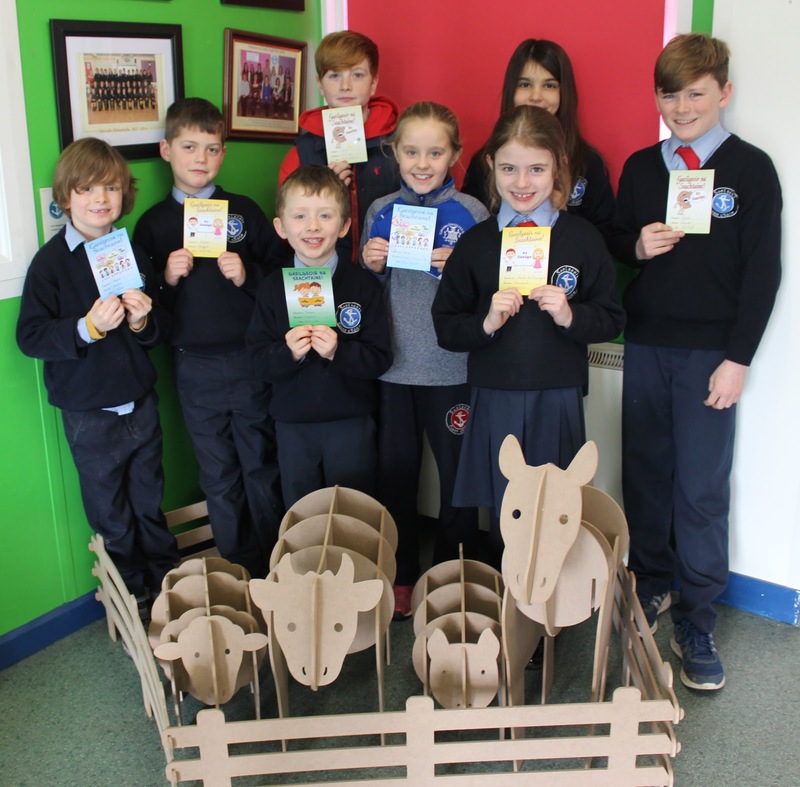 Bhí an bua ag an bhfoireann faoi 11. Comhghairdeas leo! 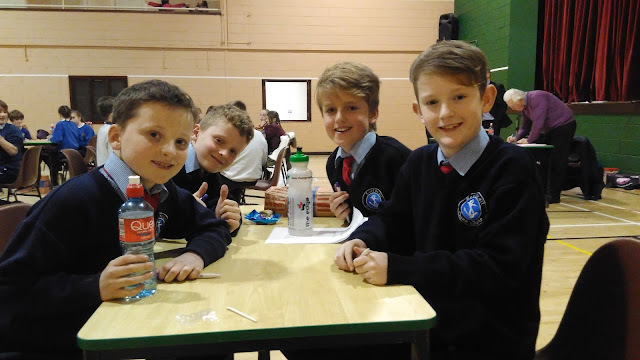 Two teams from the Gaelscoil participated in the Credit Union Quiz on Friday 26/01/18. Both teams did very well. Our u11 team won! Congratulations to them. 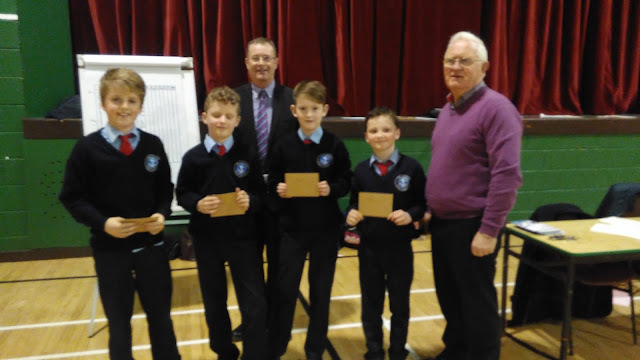 Meabhrúcháin go mbeidh an scoil dúnta amárach 24/01/'18 dos na páistí le haghaidh lá inseirbhíse múinteoirí. Osclóidh sí arís ar an Déardaoin 25/01/'18. A reminder that the school will close to facilitate a teacher inservice day tomorrow 24/01/'18. It will reopen as usual on Thursday 25/01/'18.